Since the second or third century, Christians have referred to themselves as "the Church." We have become accustomed to the word "church" without understanding how it came about or why. By researching the origins of certain Greek and Latin words, we have found that there is no such word in the original languages of Scripture. We have also discovered that the New Covenant established in Jesus Christ's blood was a fulfillment of God's promise that He would one day make a new covenant with the house of Israel and the house of Judah (Jeremiah 31:31; 33:14; Hebrews 8:8). The religious systems known as "churches" are descendants of Roman Catholicism which grew out of early attempts to clericize the assemblies of believers. The truth is that the New Covenant was made with Israel. Only Israelites and Gentiles who receive Jesus enter into that covenant. Gentile believers are grafted into Israel; they are not something different called "the church." If this startles you, read this report and judge for yourselves. 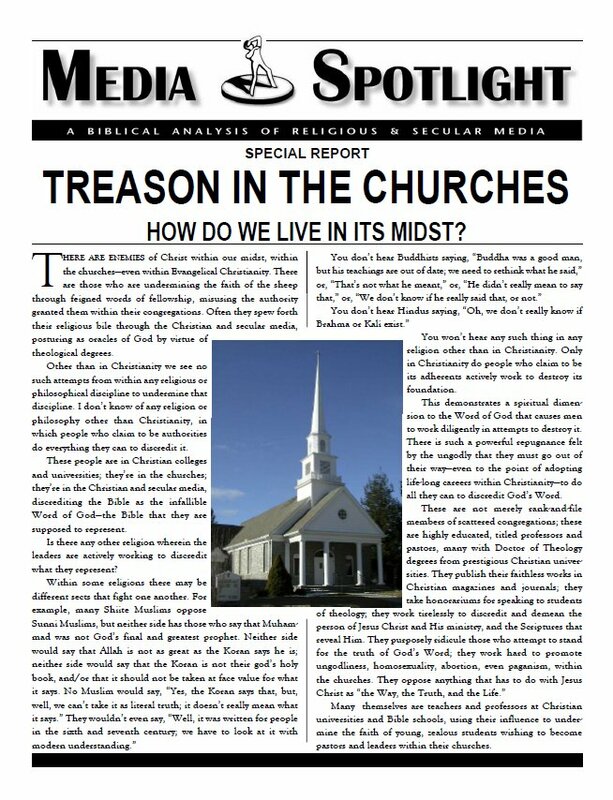 TREASON IN THE CHURCHES - How Do We Live In Its Midst? THERE ARE ENEMIES of Christ within our midst, within the churcheseven within Evangelical Christianity. There are those who are undermining the faith of the sheepthrough feigned words of fellowship, misusing the authoritygranted them within their congregations. Wandering into just any old church these days could be a precursor to spiritual death. There are so many varieties of Christianity that one must ask, wherein does truth reside? Can they all be true? Are there any without error? Over the past few decades there has appeared a new way of looking at church ministry which incorporates a more world-relevant approach to church services. 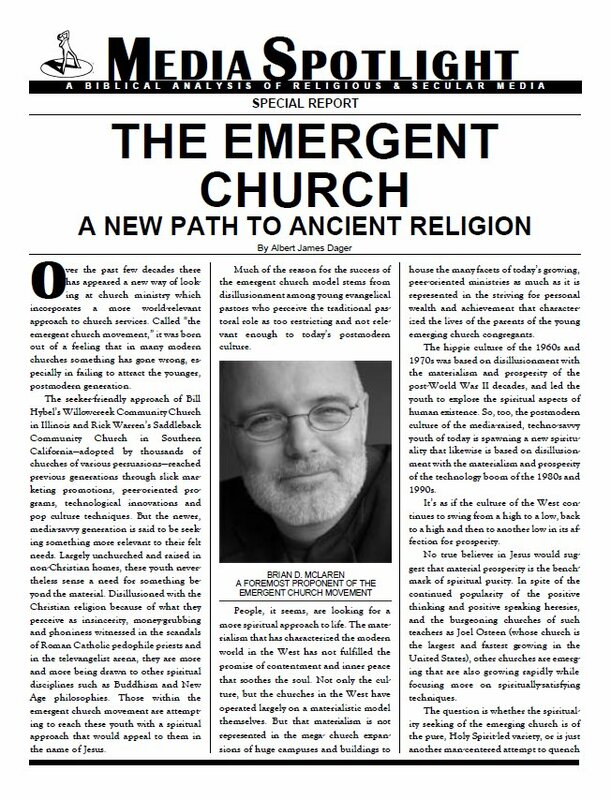 Called the emergent church movement, it was born out of a feeling that in many modern churches something has gone wrong, especially in failing to attract the younger, postmodern generation. Thousands of churches around the world are incorporating teachings found in two best-selling books and disseminated through seminars. 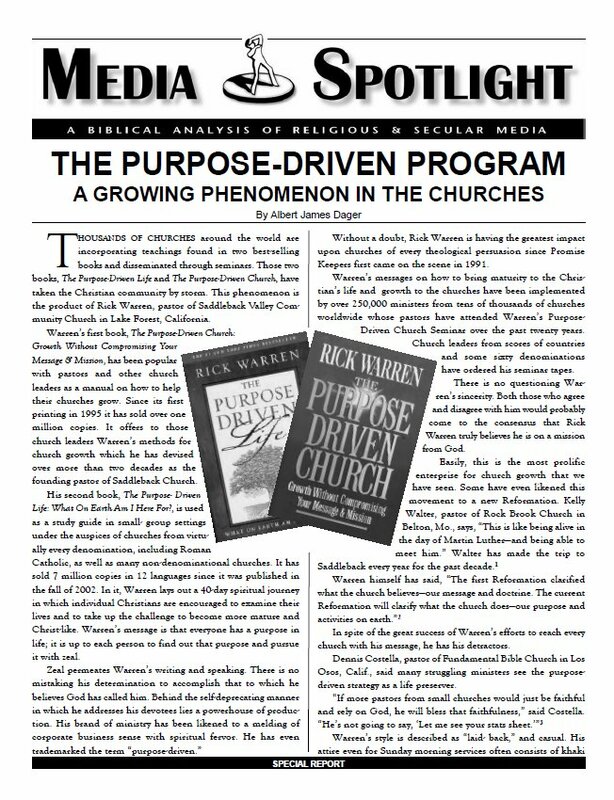 Those two books The Purpose-Driven Life and The Purpose-Driven Church, have taken the Christian community by storm. This phenomenon is the product of Rick Warren, pastor of Saddleback Valley Community Church in Lake Forest, Calif., situated at the base of the Santa Ana Mountains in Orange County. 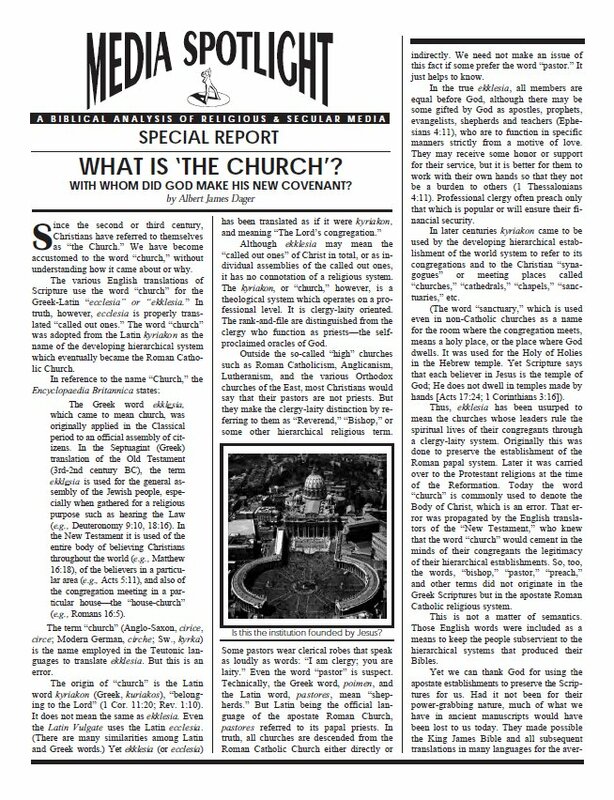 APOSTOLIC REFORMATION - A New Move or an Old Deception? 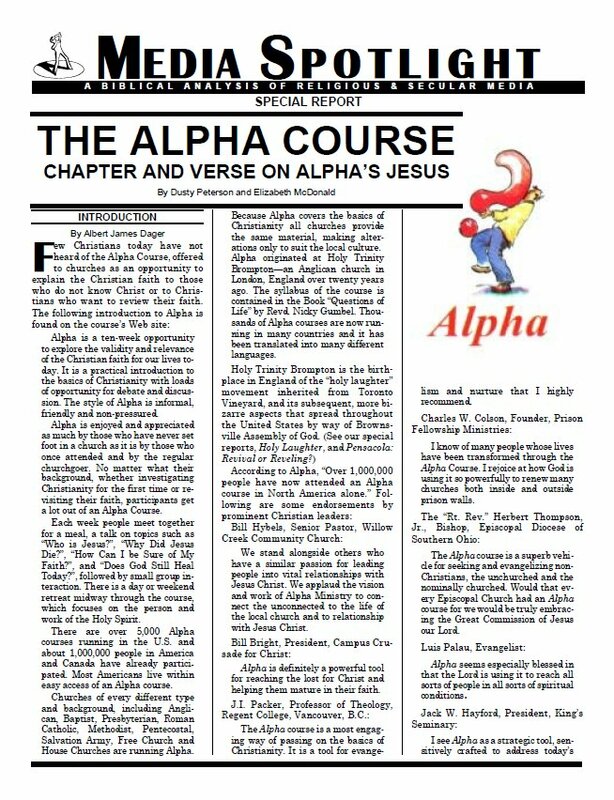 A recent phe nomenon described as a"move of God," termed "Apostolic Reformation," is implementing a plan for world evangelization through the efforts of Global Harvest Ministries (GHM) under the direction of C. Peter Wagner. It has taken a few years for this move to get into high gear, but it is now impacting a large number of churches. 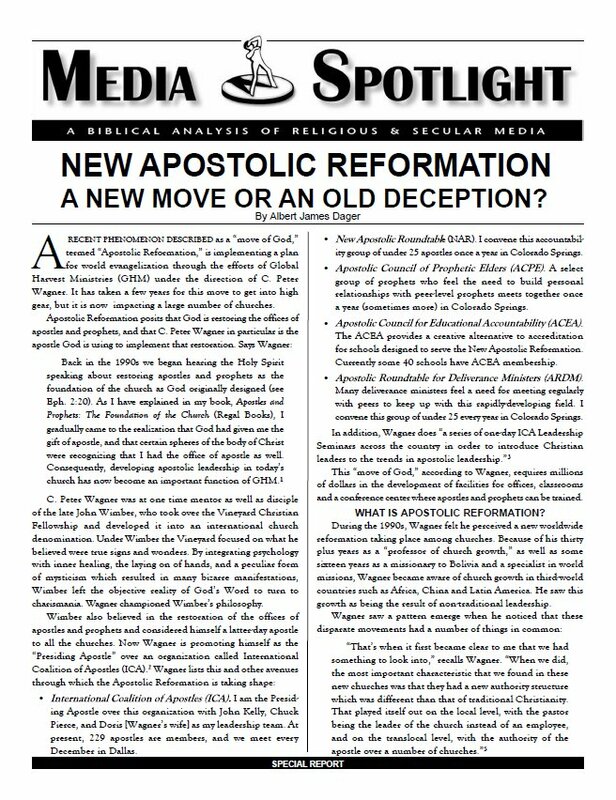 Apostolic Reformation posits that God is restoring the offices of apostles and prophets, and that C. Peter Wagner, in particular, is the apostle God is using to implement that restoration.